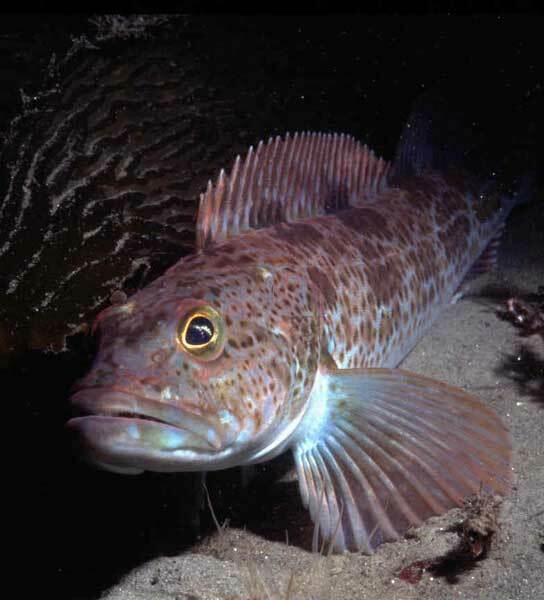 Ling cod are not actually related to ling or cod, but are members of the greenling family. They come by their common name thanks to their resemblance to those two fish. Ling cod range from southern California to northern Alaska, although the majority of the harvest comes from up north. They are caught by means of trawls and longlines in depths of 50 to 600 ft and can grow to as much as 70 lbs or more, although commercially harvested fish typically weigh between 5 and 30 lbs. They are aggressive predators that feed on other fish and invertebrates, one of their favorite meals being smaller octopus. Ling cod are highly sought after by commercial and recreational fishermen alike for their lean, firm, and white flesh. Most is sold fresh as harvests are limited by quota and supply is limited.